Vertex building is the main location of the conference, and it hosts almost all the activities (except lunches in B4 building and demo sessions in C3 building). 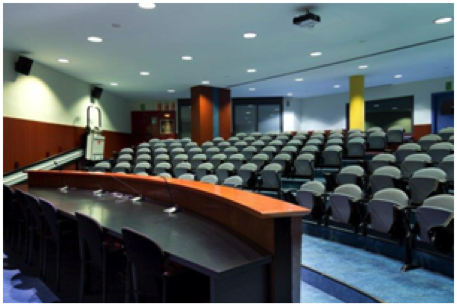 Conference keynotes, regular sessions and panels take place in the Vertex Auditorium with capacity for 477 people. The hall together with the terrace and gardens host the exhibition (tool vendors) and coffee breaks. 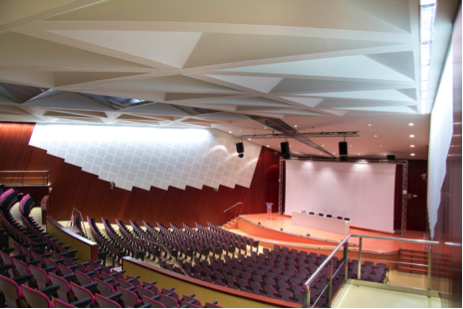 Conference regular sessions, panels and tutorials are planned to take place in Vertex Sala d’Actes with capacity for 160 people. 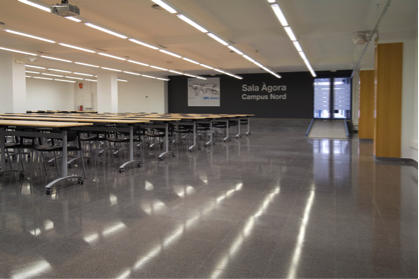 Vertex building has different Meeting Rooms with a capacity from 40 to 100 people that host Doctoral Consortium on Sunday, the Workshops, the co-located events, and potential parallel activities. 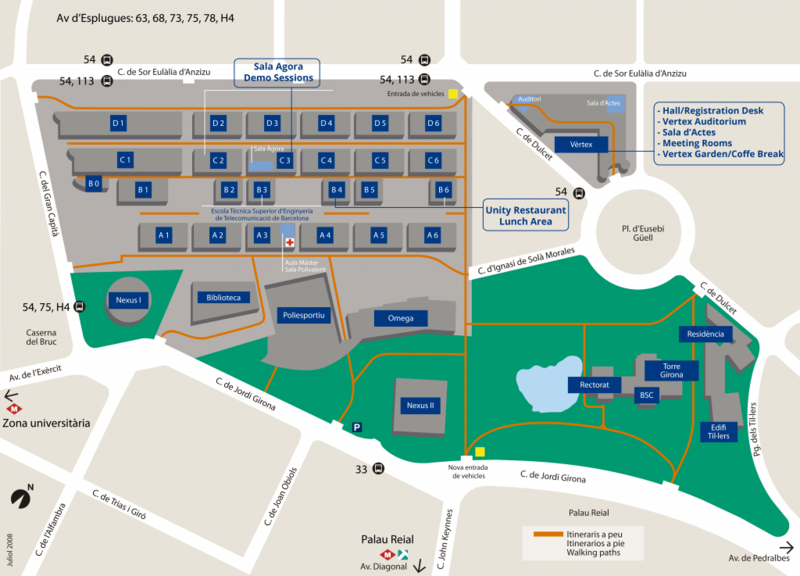 Sala Agora is located in C3 building (not Vertex) and can be access through telecommunications square. Agora hosts the demo session. 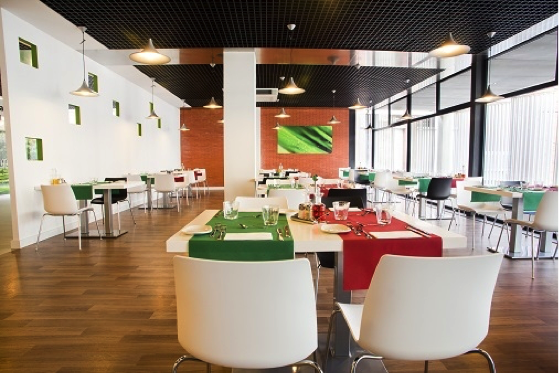 The lunches are served in the Unity Restaurant (Second Floor) in the B4 Building. 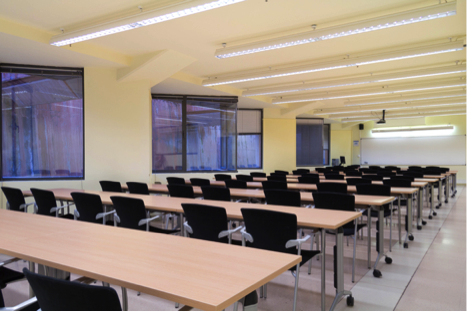 The second floor can be reached through the stairs between B4 and A4 buildings.